Best Prince Album Cover, Collection Cover, Ep Cover, Maxi and Single Cover? Forums > Prince: Music and More > Best Prince Album Cover, Collection Cover, Ep Cover, Maxi and Single Cover? Best Collection Cover: The Hits 1. Best Ep Cover: The Beautiful Experience. Best Maxi Single Cover: Letitgo. Best Singles Cover: Little Red Corvette. 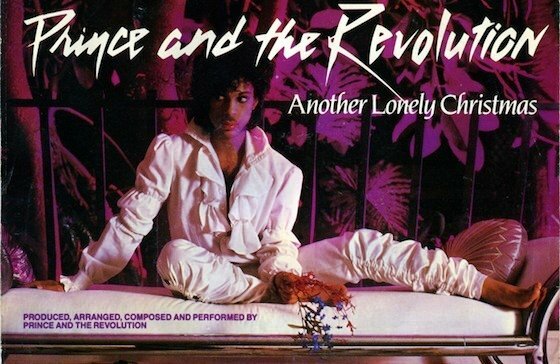 Yep, but i really love that cover from IIWYG, Prince in a very freflective kind of gesture. It is a cool photo. The best album cover is Around the World In a Day because it illustrates the songs-with a little twist. We see a ladder, a woman with a raspberry beret (and the costume from the video), a tamborine... Prince disguised as Dr. Fink holding a little ladder... Most album covers are just a photo of the artist, this one actually shows you the songs. As for singles, that's impossible to say because, especially in the early years, singles often had different covers in different countries. That is Dr. Fink, it's not Prince in disguise. Every Revolution member is represented there, as well as Sheila E. But I agree with your assessment. It was his first real conceptual album cover. Others hinted at things (Dirty Mind, Controversy, 1999), but ATWIAD really gave you a literal and mental picture of what was inside. But even with that, no one knew what was in store on that record until we all played it. I was so enamored with that cover when it came out. There are a few outtakes from that photo session that are equally nice. Plus it seems Prince in bare feet became a pretty rare thing, although we did see it on occasion. I never looked at it like that and Prince had blonde hair at the time so it was Prince with Blue Cloud suit. I do like the way it looks. I agree with you guys! I wish I could choose one with a photograph of Prince on the cover but I think this one is the most creative and most fun to look at imo! The Black Album - because it is like a unknown black hole to that freaky album. I don't know what most of his single covers were like because I don't have any but my favourite album covers are Purple Rain (used to have a poster of that on my wall) and Batman. I didn't know about Prince bleaching his hair blonde back then until just after he died. When I think of him with blonde hair, I wonder what effect he was going for. Maybe photos will surface someday. If he was going for "as far away from the Purple Rain look" as possible, blonde hair and ATWIAD would've done a pretty good job. I can agree with all and "Let's Work." Is a great pic of P during "Controversy."